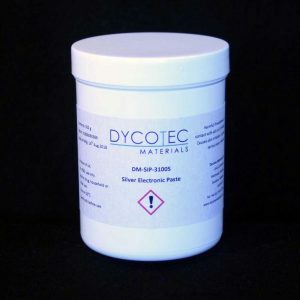 Dycotec Materials offer a range of copper pastes and inks that have been developed for a broad range of applications including; biomedical sensors, automotive, electrodes, aerospace, touch-screens and thin-film photovoltaic. 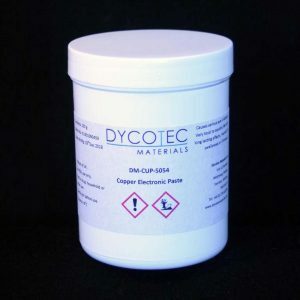 Our copper pastes use ultrafine and nanomaterial powders enabling excellent electrical conductivities to be achieved whilst providing a cost effective solution. 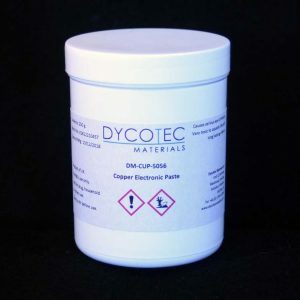 Our copper pastes are primarily designed for flat-bed and rotary screen printing but can be readily modified to suit other deposition techniques. 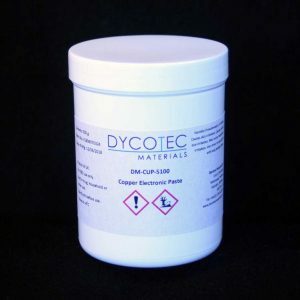 We also provide nanocopper based inkjet systems, that can be sintered using flash lamp or laser systems. 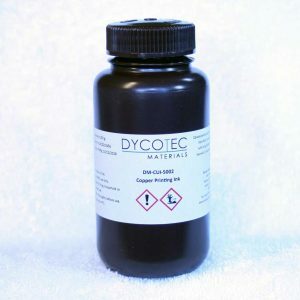 We provide our copper pastes and inks to a global customer base, offering a flexible delivery service from low volume samples to high volume to meet our customer’s production needs. We can rapidly tailor formulations for specific customer requirements.